The hook is such an important part of rap songs. A dedication to them establishes the difference between short-lived sensations and seasoned veterans. Write a catchy, unique chorus, and your chances of success are automatically higher. One could speculate that that&apos;s exactly how Kid Cudi made a name for himself. From the first time you heard "Day &apos;n&apos; Nite," it was apparent that he had a knack for songwriting and melody, and five years later, his talents still shine through on projects like G.O.O.D. Music&apos;s Cruel Summer and Cudi&apos;s own upcoming LP, Indicud. 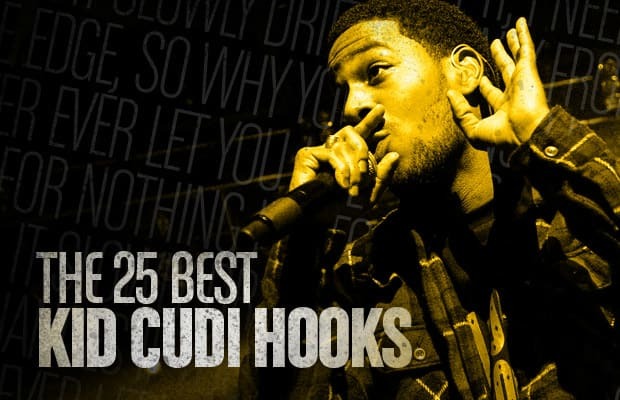 For a better idea of what we mean, read on for a breakdown of The 25 Best Kid Cudi Hooks.